Liquidating an estate isn't easy. Whether someone is looking to move and trying to sell their possessions, or handling those of a departed loved one, the auction process can prove challenging. Fortunately, The Estate Marketplace is here to fulfill all of your estate auction needs. Not only do we manage the cleanout and auction process from start to finish, we also offer a beautiful store for those who wish to buy antiques at their leisure. We primarily focus on handling estate sales for real estate agents and wholesalers, and appraisals for attorneys. If you'd like to take advantage of our convenient services, please reach out to us today. It would be our pleasure to serve you. Rely on us for all of your estate sale, auction, and antique needs. Experience is the bedrock of any great company. 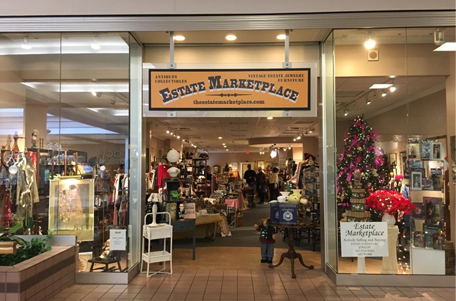 At The Estate Marketplace of Taunton, Massachusetts, we're proud to say that we put our more than 30 years of experience to work for our valued customers every day. Estate Jewelry is our specialty Please ask for Susan for all your needs including free apprasails..with 30 yrs experience Steven Fernandes, became a licensed and bonded auctioneer in 1991. We now leverage his extensive knowledge and expertise to provide superior services to attorneys, real estate professionals, and wholesalers, as well as the customers who visit our estate sales and our local antique store. Following Steven's lead, we focus on delivering superb customer service every day. Call us today to discuss your particular needs.